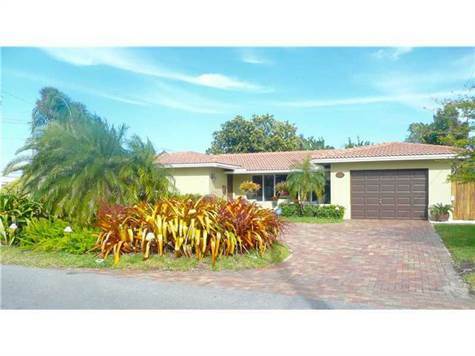 WESTFIELD SEC A, Fort Lauderdale - Beautifully remodeled pool home on over sized corner lot in Imperial Point! Circular driveway, gorgeous patio area. Kitchen is updated with wood cabinetry and stainless steel appliances. Lots of natural light, open floor plan. Huge Master bedroom walk-in closet as well as large closets throughout. Additional room can be used as an office or den. Less than 5 minute drive to the beautiful beach! • 2,262 sq. ft., 2 bath, 3 bdrm single story - MLS $360,000 - Priced to SELL!! Sawgrass Preserve, Sawgrass Area - HURRY UP THIS ONE WON'T LAST!!!!! 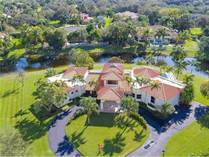 Excellent home in beautiful Sawgrass Preseve. This home boasts high ceilings and nice homey feel. Flowing open floor plan. Kitchen is updated nicely. Perfectly maintained this home is move in ready. Corner lot with plenty of room for a pool. Gated community. Location, Location, Location...close to world famous Sawgrass Mills mall and BB&T Center. Priced to sell. New River, Sunrise - Fabulous 3/2 with plenty of upgrades and special features. Flowing floor plan with split bedrooms. Gorgeous designer blinds and plantation shutters throughout. Updated bathroom. Interior and exterior painted last year. Neutral paint colors and flooring. Roof in 2006 and AC about 5 years new. Hurricane shutters. Terrific fenced lot with view of lake. No neighbors in back. Refreshing above ground pool and play set stays. Location has easy access to highways, shopping and A rated schools. This One Is A Knock Out! 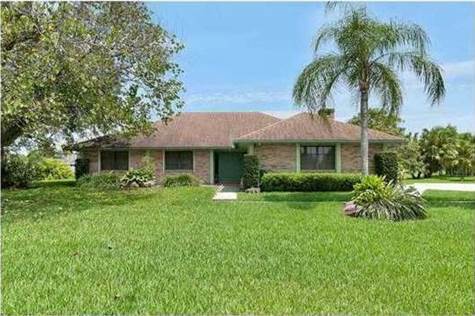 Whispering Pines, Davie - Welcome Home! Designed by Architect Luis Fontenills, This One Has A Coconut Grove Feel. The Use Of Picture Windows & Skylights Bring The Outdoors In! Thought Was Put Into Each & Every Detail. Even The Ceilings Have Unique Designs. This Is A Terrific Party House With It's Open & Inviting Floor Plan Yet There Are Plenty Of Private Spaces To Cozy Up In. The Outdoor Oasis Features A Covered Patio With Water Views. Big Sparkling Pool. Separate Walled Area Is The Right Size For Garden Or Summer Kitchen. Miramar, Broward County - We invite everyone to visit our open house at 2862 Southwest 182nd Ave on January 16 from 11:00 AM to 3:00 PM. • 2,749 sq. ft., 2 bath, 4 bdrm 2 story - MLS $469,900 - Perfect! Silver Lakes, Miramar - What an amazing yard! 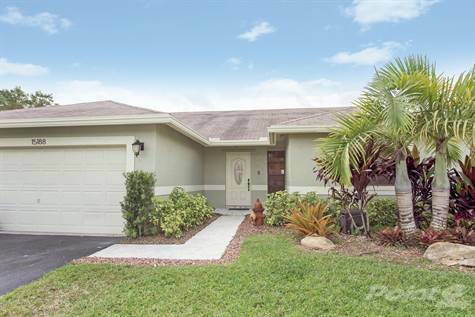 Perfect 4/2.5 home in Coconut Shores in Silver Lakes is ready for a new family. The home sits on an over-sized lot with a very large wood deck surrounded by fruit and shade trees and there's still plenty of room for the kids to run around! The kitchen has recently been renovated, large walk in pantry for extra storage. Large family area, breakfast area, separate living and dining rooms. The 2nd floor has dark laminate wood flooring throughout, spacious bedrooms. A must see!! Laurel Oaks, Davie - We invite everyone to visit our open house at 11917 Acorn Drive on January 10 from 12:00 PM to 3:00 PM. • 1,265 sq. ft., 1 bath, 2 bdrm 2 story - MLS $183,000 - Just Reduced! Flamingo Villas, Pembroke Pines - Back on the market. Buyer did not qualify. NO FHA Please.. Centrally located in Pembroke Pines. 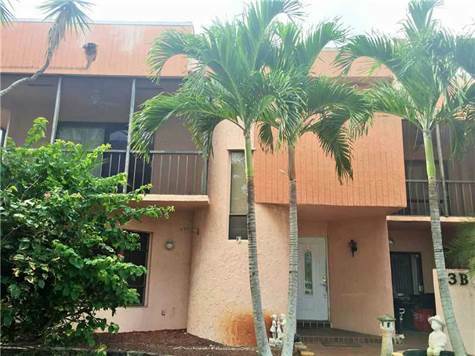 Updated 2 bedroom 1.5 bathroom Flamingo Villa town home. Perfect starter home, investment property or for the empty nester. Wimbledon at Jacaranda, Plantation - Beautiful townhome in Wimbledon at Jacaranda. Brand new paint and very clean. Wood laminate flooring upstairs and tile floors downstairs. Located near Sawgrass Mills, The Fountains and Broward Mall with tons of shops and restaurants. Great family neighborhood. Please no pets. 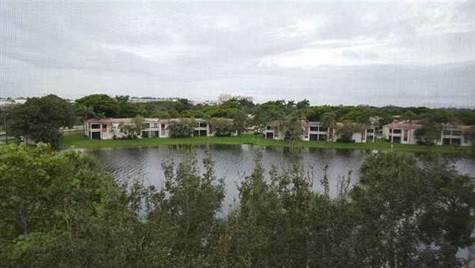 Colony Point, Pembroke Pines - Spacious 1/1.5 condo with a view of the lake. Laminate wood flooring in the living areas and bedroom, newly painted throughout, 2 closets in the bedroom one of them is a large walk-in, 1/2 bath for guest use, large kitchen with room for a bistro table, well maintained and move-in ready. Community has a fitness center, spa, pool, activities, beautiful walking/jogging paths, proximity to the mall/hospitals/major highways. Villages of Hillsboro, Deerfield Beach - We invite everyone to visit our open house at 349 NW 40th Terrace on December 20 from 12:00 PM to 2:00 PM. 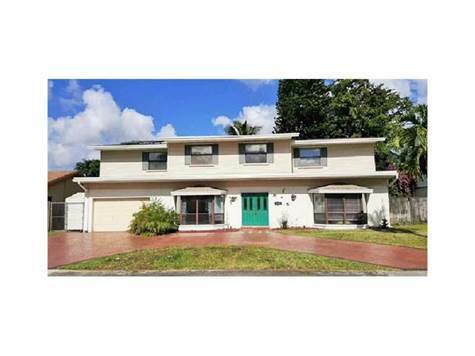 Guardian Estates, Cooper City - Spacious & comfortable 5/2.5 bath plus den. Over-sized rooms & closets, 5th bedroom is a grand suite with a den, updated kitchen, stainless steel appliances, granite counter-tops & eat in kitchen. Newer roof,shutters, shed, & hurricane rated garage door. Solar water heater, 2 AC units, sprinklers & beautiful stamped concrete circular driveway. Free form pool &wood deck on second floor. Quiet, tree lined street, peaceful water views and fruit trees in the heart of desirable Cooper City. The perfect home for a family! Corner Unit with Private Balcony! 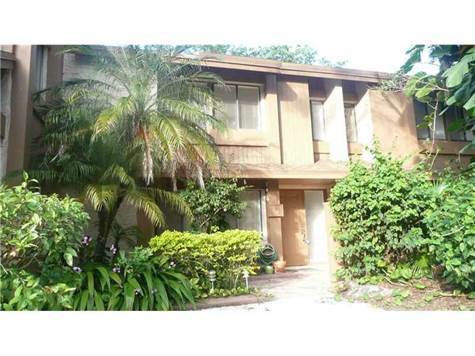 UNIVERSITY VILLAGE, Davie - LOCATION,LOCATION,LOCATION! SPACIOUS 3/2.5 UNIT WITH SEPARATE LIVING AND FAMILY ROOMS. CORNER UNIT WITH LOTS OF LIGHT AND WRAP AROUND BALCONY.WALK-IN CLOSETS AND HUMONGOUS MASTER BEDROOM WITH PRIVATE BALCONY,NEEDS TLC BUT HAS GREAT POTENTIAL! MINUTES FROM I-595 AND WALKING DISTANCE TO NOVA.